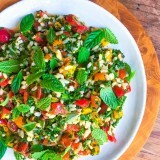 This lemony and packed full of herbs tabbouleh is made gluten free with sprouted brown rice. 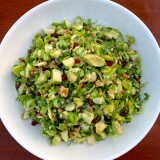 Brussels sprouts are finely shredded and tossed with apples, walnuts, avocados and pomegranate seeds in a light citrus dressing. This salad is perfect for a large group. 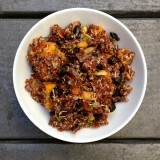 Red quinoa is tossed with black beans, roasted butternut squash and pumpkin seeds then coated in a light and tangy dressing. 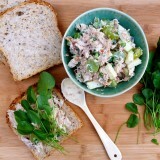 This chicken salad isn't weighed down with too much mayo or sauce. Roasted chicken is lightly tossed in a lemony dijonnaise with apples, grapes, green onions and toasted walnuts. 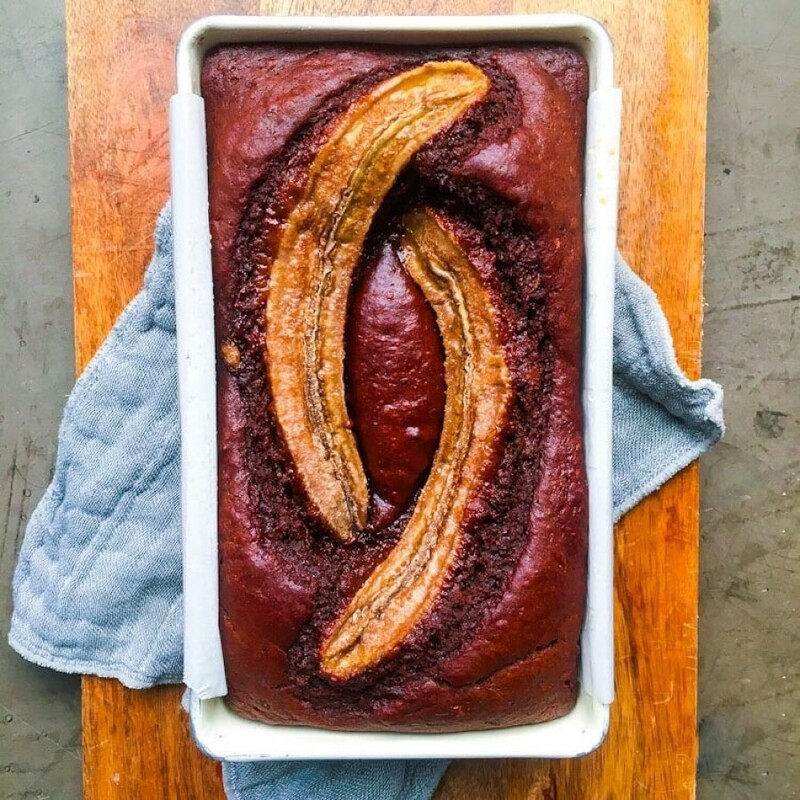 A light and refreshing side. Make the salad and the dressing seperately then toss it all together right before serving. 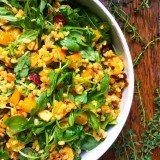 Dried cherries, roasted golden beets, arugula and almonds makes this salad light but filling. Creamy avocado pairs perfectly with tangy, juicy grapefruit. 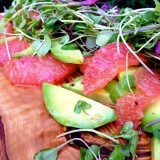 Finished off with micro greens and a light dressing, this is simple and easy eating at it's best. 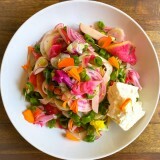 This salad is quick and easy with the help of store bought rotisserie chicken. 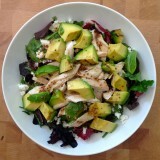 Adding a grilled avocado and homemade dressing makes it a perfect meal. 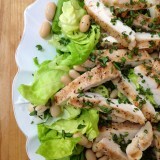 A lemony dressing tops this delicious butter lettuce salad with grilled chicken, herbs and cannellini beans. Chicken breasts are pounded thin and then grilled to perfection. A light and tangy Greek inspired salad tops it all off for a perfect summer meal. 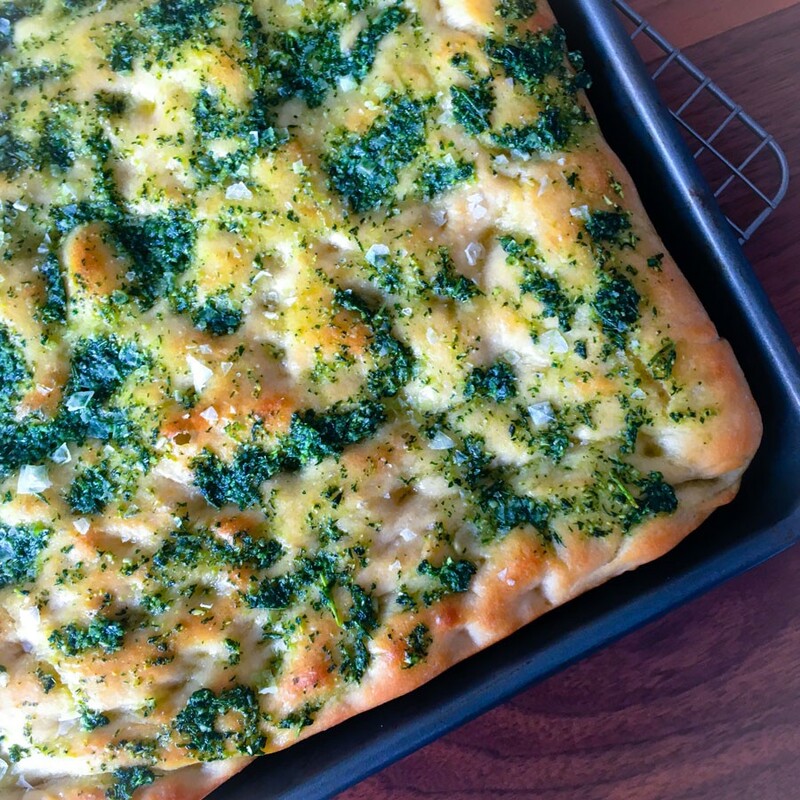 Spinach and butter lettuce are tossed with green onions, basil and mint. 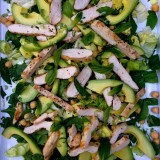 Finished off with garbanzo beans, avocado and grilled chicken all in a tangy red wine and Za'atar dressing. 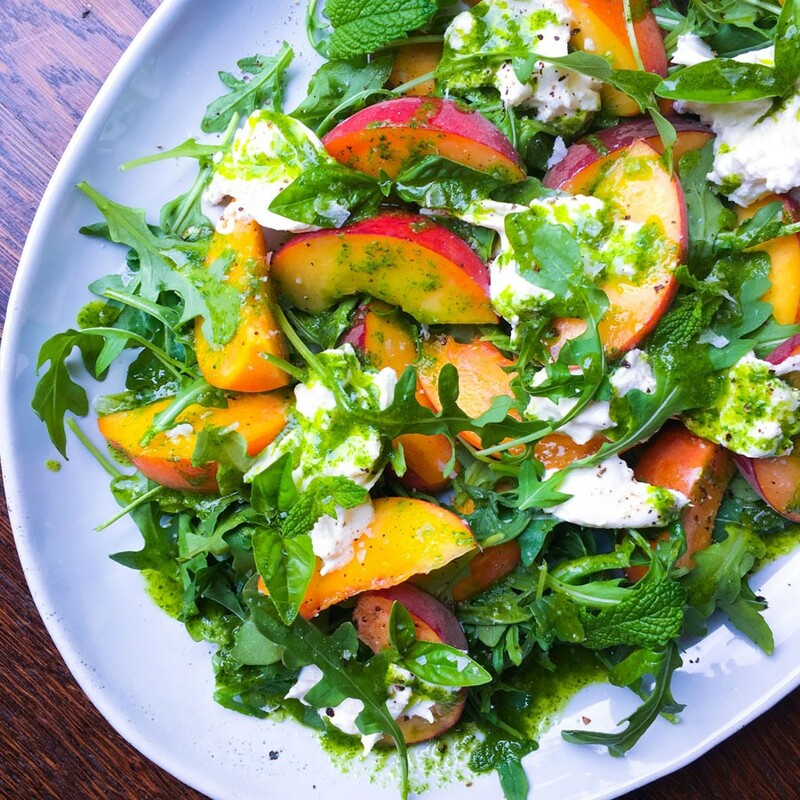 This is the perfect summer salad. 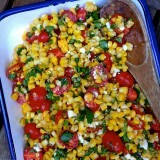 Sweet corn, juicy tomatoes and fresh basil are tossed with feta cheese and scallions in a light vinegar dressing. Butter lettuce is tossed with toasted hazelnuts, chives, oranges and French breakfast radishes. Topped off with grilled salmon and then finished with a whole grain mustard dressing. 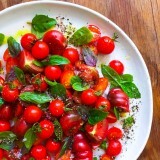 When tomatoes are at their peak in summer there's little you need to do to make them shine. 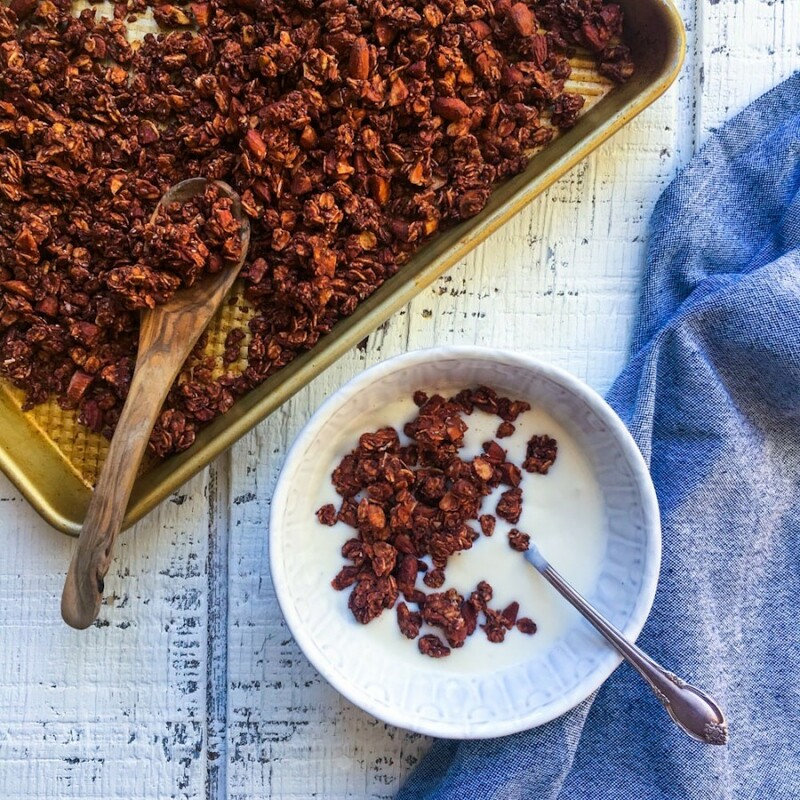 This simple recipe enhances their flavor without much fuss.